Gum tissue around your teeth not only represents a noticeable portion of your smile but also acts as a protective shield against the continuous trauma from bacteria, chewing and brushing. Therefore, losing this important component around teeth due to gum recession not only negatively affects the cosmetic aspect of your smile, but also it can lead to root sensitivity, root cavities and and loss of bone support which can ultimately impact the longevity of those teeth. 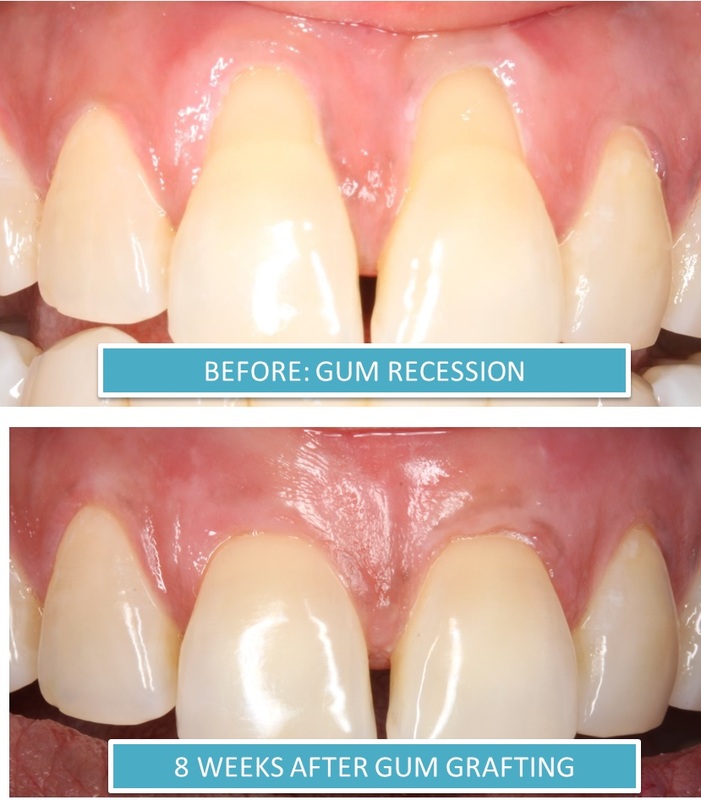 Gum recession happens due to a variety of reasons. Some the common ones include traumatic tooth brushing and flossing, periodontal disease, grinding teeth, and inadequate tissue support due to tooth positioning within the jaw bone. 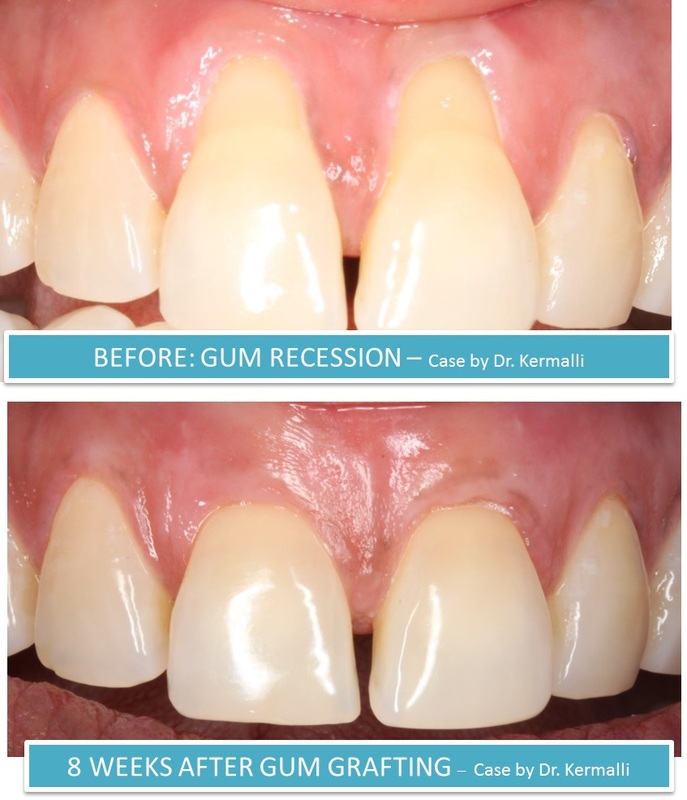 In cases of mild gum recession, often only some modifications in your home care would be the only treatment needed to prevent further recession from taking place; however, in more severe cases, gum grafting may be indicated in order to stop the progression of disease. Gum grafting is done by gently taking a thin piece of tissue from the roof of the mouth and carefully placing it over the site of recession. An alternative to this technique would be using human skin graft that is obtained from tissue banks. Certain criteria must be met before this alternative technique can be used. 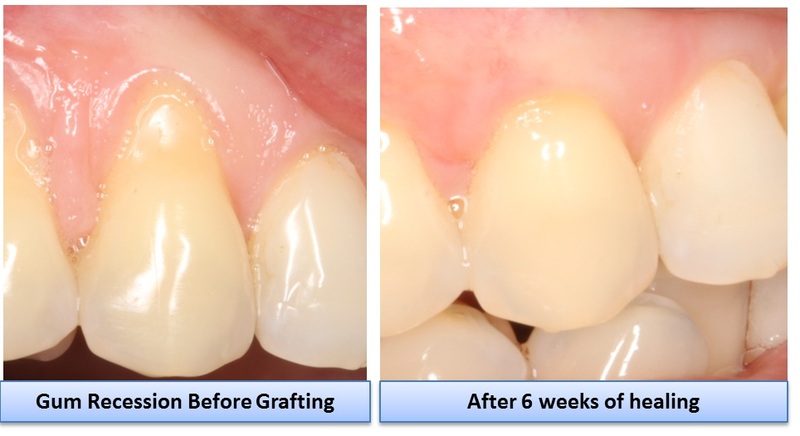 Regardless of the grafting technique, the primary goal of gum grafting is to augment gingival tissue and to establish a healthy, stable band of attached gingiva around teeth.